The Conservation Foundation's Dickson-Murst Farm has become a favorite gathering place, where area old-timers and newcomers alike can wax nostalgic on farm life. But it now boasts some cutting edge technology as well! 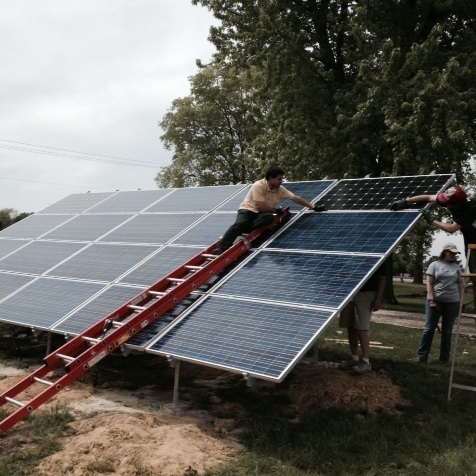 Thanks to an incredible donation by WCP Solar of Naperville, a 5 kW ground-mount solar array has been installed at the farm. The value of the system is $25,000,and we anticipate it will generate at least 50% of the needed electricity at the Dickson-Murst Farm. Not only will it help offset our electrical needs, it will serve as a wonderful on-the-ground example of the difference home and business owners can make by employing these technologies. By harnessing the power of the sun, we are reducing our dependence on fossil fuels and reducing pollution. 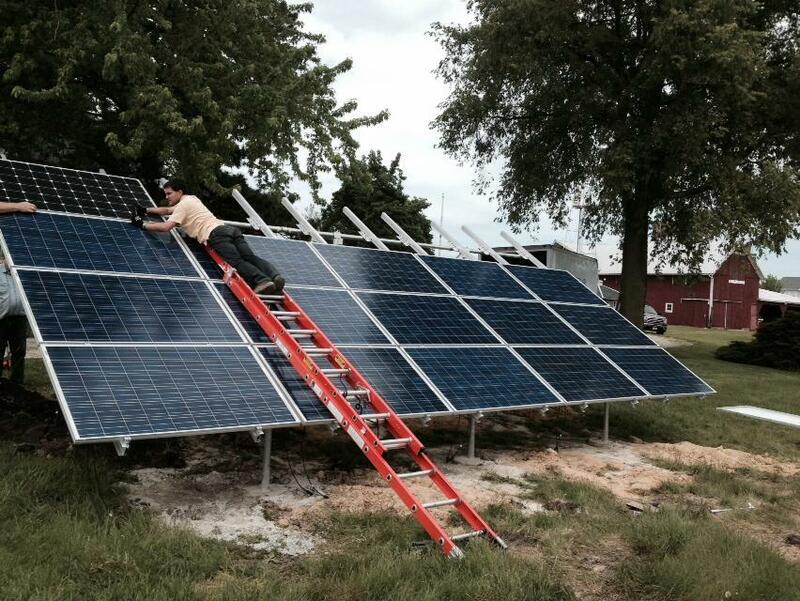 And this isn't the first time these solar panels have had their faces tipped toward the sun. They were also donated to the Aurora Green Lights organization to put on the area's (maybe even the state's) first solar powered concert. We are the fiscal agent of Aurora Green Lights, and after the event they passed the panels on to us for use on one of our properties. They are one of the heroes of this story! 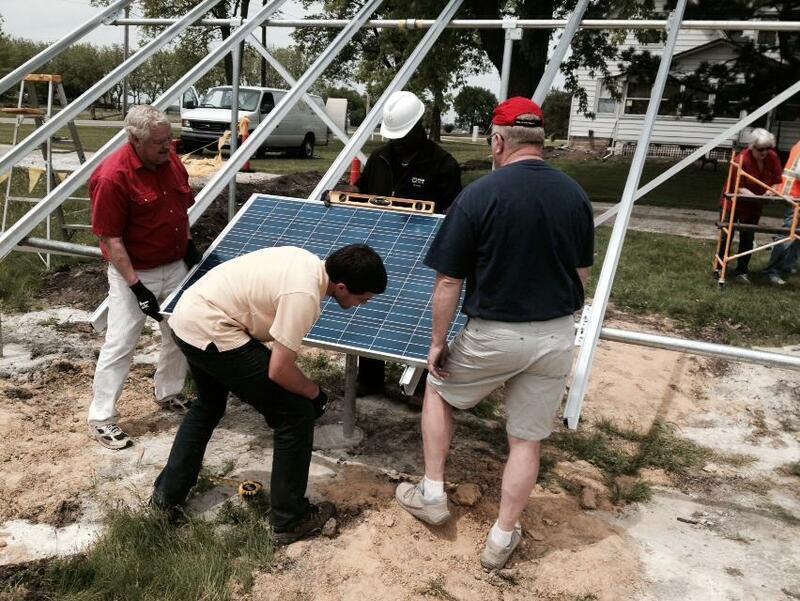 We also cannot begin to thank WCP Solar, particularly Dr. Ev Walters and Ken Vojtik for their tireless work over three weekends to get this sytem up and running. And they both agree they could not have done it without the help of several of our awesome volunteers, who jumped right in to place panels, assemble hardware, fill in a trench, and schlepp tools and supplies. While the modern-looking panels are a perhaps unexpected contrast to the farm's old red barns, they just give the sense to visitors and passersby that cool things are happening here at the Dickson-Murst Farm. In the words of Al Busano, Vice President at WCP Solar, "Together one step at a time, one day at a time we can make this world brighter, cleaner and richer!"